Hello, to all the CycleHack Global Network! I feel it’s about time I introduced myself, as I’ve been working away in the shadows like some kind of masked vigilante – though instead of punching and kicking people, I’m usually re-tweeting and emailing them (more productive I’ve found). My name is Keir, and I am fortunate enough to have been given the amazing opportunity to work for CycleHack. To summarise/neatly package what “Operations” at CycleHack looks like on a daily basis would be nigh on impossible. What I do has been described as “…the holy grail of hipster jobs”, something flattering and perplexing in equal measures. While I don’t particularly agree with the statement I think it is quite representative of the fun, engaging way in which CycleHack operates and that we are bringing something fresh and new to the cycling scene. So how did I find myself in this place, writing this blog post, and telling you this…? Great day @cyclingscotland #csconf16 in #Perth! Some brilliant speakers, interesting discussion and I got to #pechakucha on #cyclehack + #enagagement + #cycling! Following some time spending my life savings to travel around India and South East Asia (ooo, la de da, get me), I started working at CycleHack at the end October 2016. I had spent my final two years at University working for the university’s Estates department in the Environmental Sustainability Team. This role involved working closely with volunteers, community and policy makers to help shape Biodiversity practice across the vast estate of the University of Glasgow. 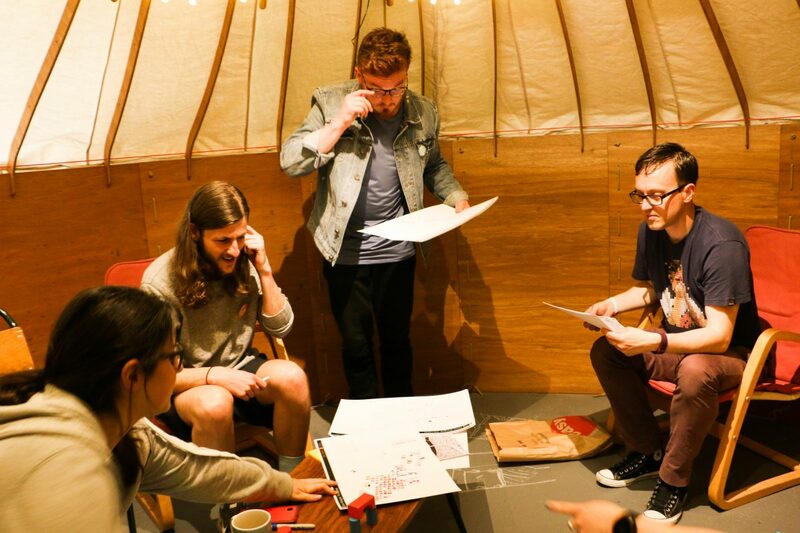 It was through these experiences that I furthered my keen interest in cycling, empowering communities and applying design principles to achieve social good: thus CycleHack seemed like an ideal graduate position for me. I had also previously worked as a social media intern for CycleHack during the summer of 2015 (you can read my thoughts on that here) so I knew – mostly – what to expect. However working inside a small organisation that operates on a massively global scale will always be equal parts daunting and exciting, and it is the unusual juxtaposition and mix of “stuff” that gets me out of bed daily. In an operations role I could be operating social media and writing blogs in the morning, conducting one to one interviews or facilitating workshops in the afternoon, preparing files to send to the laser cutter (see below picture) in the evening and round off the day by speaking across time-zones to interested partners. I find our Open Source Catalogue endlessly interesting, and I feel this is a good starting point for explaining what CycleHack is to people. The quantity and quality of the ideas generated by the community are inspiring. Too often the conversations around cycling improvements in cities focus on “infrastructure”, “workplace showers” and “rain”. Whilst these are obviously barriers for some, CycleHack empowers people to ask what they can implement, test, develop over the course of one weekend that can have an impact. My favourite hacks are the ones where people get out in the street and implement something, or try and change attitudes or behaviours towards cycling. I love to see the wider impact that small people-powered interventions can have. 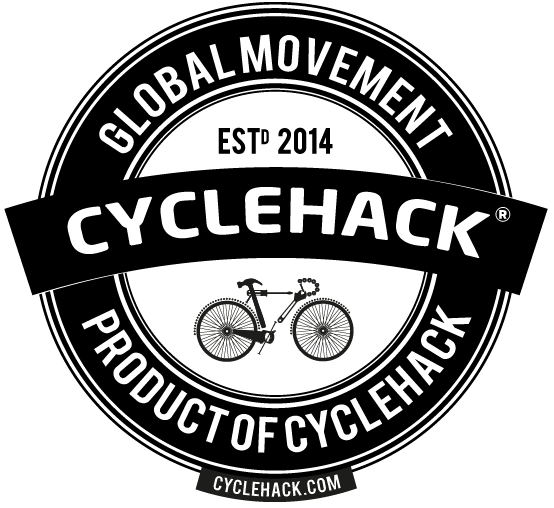 One such hack that I’m particularly interested in is CycleHack Chat: a digital forum hosted on Slack to bring together our global community of CycleHackers in one digital space. The potential I can see for this going forward is phenomenal: how can we bridge the gaps between events by continuing hacking? How can people from different cities around the world work together to solve one another’s barriers? How can exchanging thoughts and growing this community online empower people in the physical world? I don’t have the answers to this one just yet, but the community has only been active for about one month and already has 75 people signed up and sharing ideas, so why not come join in and see what it’s all about? Sign up HERE! To round up, I’d like to go back to that dreaded “H” word…I realise the main bastion of hipsterism is denying you fit the term. However (here we go) I do genuinely believe it would be superficial to boil CycleHack down to just that term. Of course we involve designers, and men with facial hair, and occasionally someone at one of our event might have a checked shirt. But ultimately with annual events set to take place in ~50 locations, over 4 continents in 2017, the impact we have and the variety of people we reach, from different nationalities, languages, ethnicities, gender and colours is quite astounding. Consulting my crystal ball and looking to the future, keeping in mind our exponential growth over the past 3 years, I can only see CycleHack becoming more inclusive and diverse, empowering more regular citizens to reduce barriers to cycling in their own city.